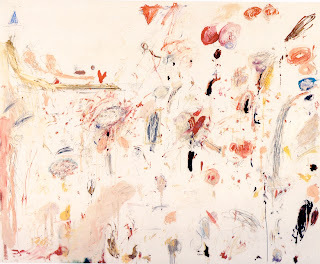 I have been looking at Cy Twombly's work because the free use of paint and textures. I also like the use of text scrawled into it. There are more examples of work from the Tate Collection. Thanks Jo, I will look it up.